My main teaching responsibility each year is Dendrology EFB 336. I teach graduate seminars about conservation about every other year. 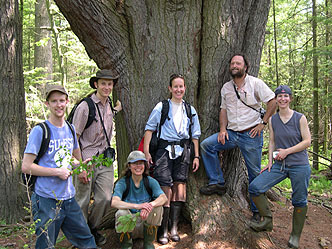 During the summer, I co-teach Adirondack Flora (EFB327) at our Cranberry Lake Biological Station. My general research interests are in trying to understand drivers of diversity and causes of varity in terrestrial and wetland ecosystems. Knowing such information, how can ecosystems be managed or restored for unique communities and rare species, and what can be done at the landscape level to enhance regional biodiversity? 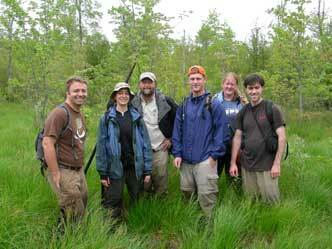 Most recently many of my graduate students and I are studying these topics in fens, inland salt marshes, and alvar communities. 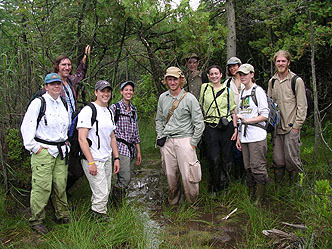 Current graduate research projects under my direction attempt to understand: the restoration of coastal marshes in bays along the St. Lawrence River (Thousand Islands region); effects of water level changes and watershed land use on wetlands in Lake Ontario; relationships between hydrogeology and plant species diversity in fens in NYS; long-term demography and recovery of a threatened fern (hart's-tongue fern); restoration of an urban stream (Onondaga Creek); restoration of alkaline wastebeds; predicting ocurrences of rare plant species, using GIS; ecology and control of invasive plant species and relationships between timber harvest and stream quality in the Catskills region.